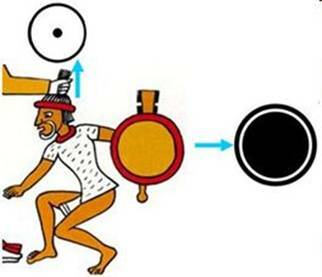 Mankind expects on December 21, 2012 the events of the end of the Mayan calendar. However, this is just a very bright shining lighthouse of warning - Extremely dangerous! Do not approach this date - this is the beginning of the scenario of global cataclysms. Therefore, according to the suggestion of extraterrestrials we have to make the Transition before that date. The symbol of global cataclysms extraterrestrial civilizations have chosen the dragon-serpent. Therefore, only the complexes, where are represented serpents, give information about the conditional dates of the onset of pre-cataclysms, and the only possible time of the Transition. All other complexes without serpents transfer is also very important, but only additional information for the Transition. 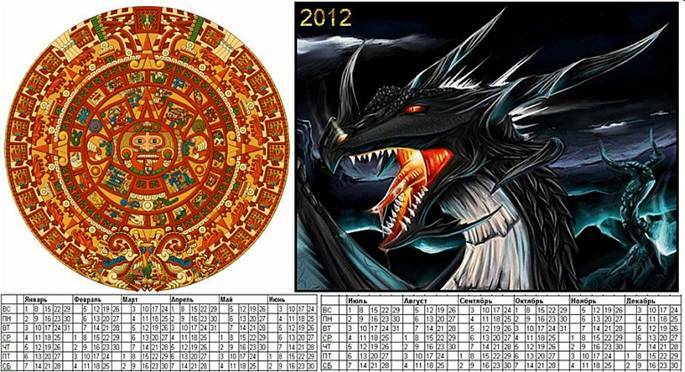 It is considered that 2012 is the year of the Water Black Dragon. The Dragon is a symbol of global cataclysms. 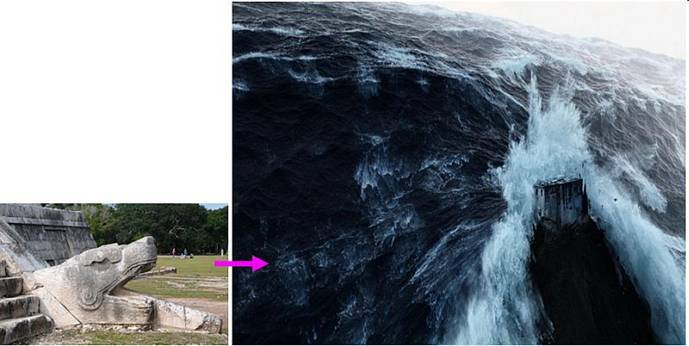 Extraterrestrial civilizations also indicate that the epicenter of the first pre-cataclysm will occur in the ocean. Black - the color of mourning from the incredible loss. Whether all these coincidence are random or it is really «the beginning» is unknown so far. Extraterrestrial civilizations will certainly warn about if these events will occur in 2012, but only later – just on the eve of the event and we will submit this information on our site. As expected, we received information that the cataclysm on December 21, 2012 will not happen and reported about it on our site. 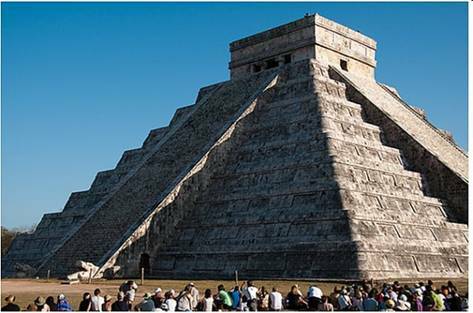 The shadow effect of slipping serpent on the pyramid of Kukulkan in the complex of Chichen Itza, which occurs twice a year at the vernal and autumnal equinoxes, animates the events, showing that in 2012 – the year of the Dragon – cataclysms already came down to the Earth. 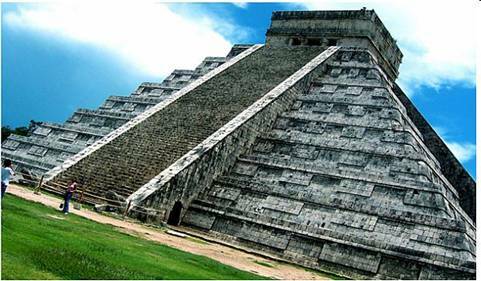 365 steps on the pyramid of Kukulkan in the complex of Chichen Itza, as well as 365 serpent’s heads at the pyramid of the Feathered Serpent in the Mexican complex of the Moon and the Sun pyramids indicate that the scenario of the beginning of global cataclysm is designed for a year. Consequently, the stages of the scenario of global catastrophes – the blows of the first, the second and the third pre-cataclysms will not be separated by centuries. It is possible that the starting date of the beginning of global cataclysms scenario is the end of the Mayan calendar – December 21, 2012. Thus, mankind expects on December 21, 2012 the events of the end of the Mayan calendar. However, this is just a very bright shining lighthouse of warning - Extremely dangerous! Do not approach this date - this is the beginning of the scenario of global cataclysms. The shadow effect of the descending serpent on Kukulkan pyramid at Chichen Itza, appearing twice a year at the spring and autumnal equinox - March 20-21 and September 21-22 - abstractly depicts the first and second pre-cataclysms. It abstractly shows that the first and second pre-cataclysms are separated by very short time. The third pre-cataclysm is not shown, since it is not important. Extraterrestrials are warning that mankind should make the Transition in time before the second pre-cataclysm. All three pre-cataclysms are artificial. Thus, extraterrestrial civilizations prevent panic due to unforeseen natural disparate blows of unprecedented force and allow our civilization to concentrate and make the Transition to the next cycle of life. Global cataclysms is a special mechanism of consciousness improvement applied in the Universe for realization of the major stage of development of mankind consciousness – transition of individual human consciousness in the united consciousness of civilization. 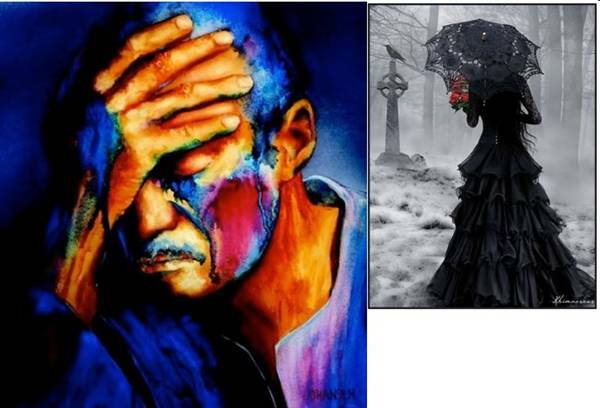 This transition is so difficult for humanity that it passes on pain of death. It means that complete destruction awaits our civilization if humanity would not unite consciousness and not make the Transition in the next cycle of life in time – prior to t Name=background:yellow;mso-highlight: yellow;mso-ansi-language:EN-UShe second preliminary cataclysm. Pictograms of extraterrestrial civilizations reveal to us the scenario of the beginning of global cataclysms. Initially will happen three preliminary cataclysms of incredible strength, and then will begin global cataclysms. This scenario is made by extraterrestrial civilizations especially in order not to allow chaos of blows of incredible force to overflow people's consciousness and make them easy prey for the wild forces of nature. The scenario of global cataclysms beginning is thought over such a way in order to hold the first, the weakest natural blow in the terms set in advance and on pointed territories. Soadd upthe circumstances that this natural blow to greater or lesser extent will affect or even partly destroy the territories of many countries of the world. 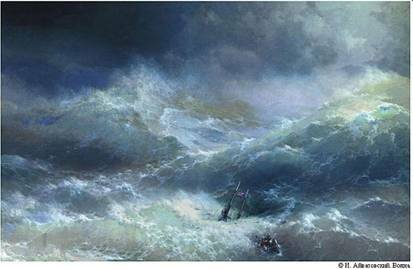 Wise civilization, at least once experienced the incredible horror of events of the first pre-cataclysm that is impossible to describe by any words other than «waxing wild force of nature,» receiving such news, would immediately made the Transition. However, for the young civilization of Earth everything is easy! Humanity does not believe ETC warning. Earth civilization is not even interested in warnings of extraterrestrials about the approach of global cataclysms transmitted continuously, by many ways. Mankind does not listen to ETC emergency messages full of incredible anxiety and alarm. Absolutely not realizing at all what she creates, the civilization of Earth, feel free to open the visor, going to meet the first natural blow, having prepared, just in case well-fortified and perfectly equipped and furnished underground bunkers. 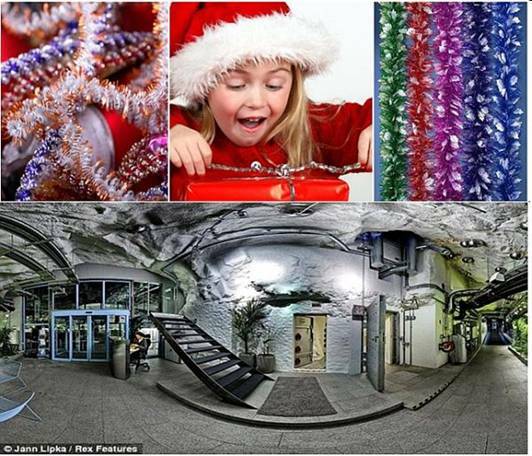 However, underground fortress of any degree of protection for incredible blows of nature is just a New Year's tinsel, but humanity meanwhile does not understand it. Deep confidence of arrogant civilization of Earth in her strength will be completely crushed with the beginning of the first pre-cataclysm - natural blow of improbable unprecedented force never seen before. If you assume that the first pre-cataclysm will come for someone unnoticed – as today on radio or TV in the morning news we suddenly learn that somewhere happened very strong earthquake or a devastating tsunami – then you are deeply mistaken. After the first the pre-cataclysm everyone on earth, regardless of location, will be immediately ready to make the Transition. It should be noted that, in underground bunkers effect will be much stronger, because all the effects - sound and vibrating will go from under the earth. After the event there will be an amazing time. All people of earth as little children, wiping tears of the deepest losses, will «stand on the chest » of their saviors - extraterrestrial civilizations. 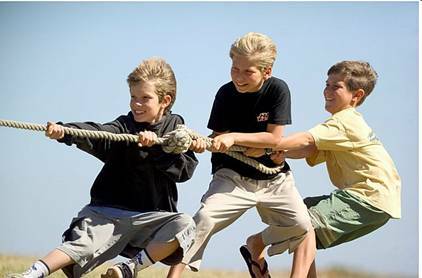 People will understand that only the older brothers of the mind saved them from inevitable destruction in global cataclysms. This will be already an entirely different - immediately grown-up civilization which has realized her deepest mistake with already lifelong mourning black clothes of consciousness. Now each survivor on earth will search everywhere, listen attentively, thoroughly and carefully study and repeat the information of extraterrestrial civilizations about the conditions of the Transition, understanding that we can not wait the second pre-cataclysm in any case! We need to cause the General Resurrection in order to prolong life in the next cycle. This is a great responsibility to the lives of all previous generations. And everything depends only on us! The beginning of global cataclysms is the beginning of the complete destruction of the planet. Extraterrestrial civilizations have made the scenario corresponding to possibilities of their consciousness, already many millennia ago. ETC took a huge responsibility for the lives of entire civilization that has evolved on this planet for many millennia, day after day, through incredible difficulty of work comprehending the mysteries of the laws of the material world. Extraterrestrial civilizations by their consciousness should put in order and constrain randomness of natural blows, directing them only according to the scenario set in advance. It should occur up to the beginning of global cataclysms. No failure should not be made. Failure is equivalent to the death of our civilization. However, extraterrestrial civilizations not only warn mankind about the fast beginning of global cataclysms, but also show the only way to escape from this seemingly completely hopeless situation. Mankind should, as a bird fly up over level of global cataclysms. It means that the civilization of Earth should make the Transition into parallel worlds of the material world from the level of global cataclysms on the Highest level. Mankind has also taken part in resolving of this very difficult life situation with the possibility of fatal end and acted with the suggestions. However, the imagination of mankind, disclosed in a magnificent feature film «2012», was only enough to keep the genofund of humanity on special huge catamarans. Preservation of the genofund means a limited number of people, among who, of course, are included all the richest people on earth. 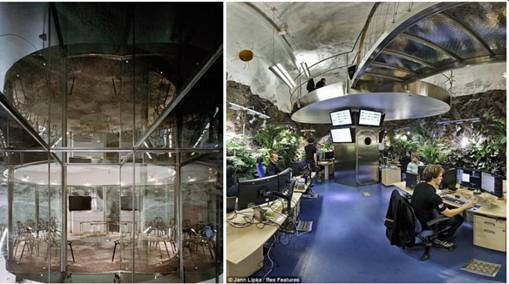 There is another proposal of humanity - the salvation in the underground bunkers of varying complexity and degree of protection made of concrete or rock. Both in one and in other variants of mankind’ proposals there is one very important «but» – the finiteness of global cataclysms. People in arks the same as people in bunkers will wait for the end of natural catastrophes. Then they will return again on earth and will start to equip life on the planet again, adapting to new conditions. 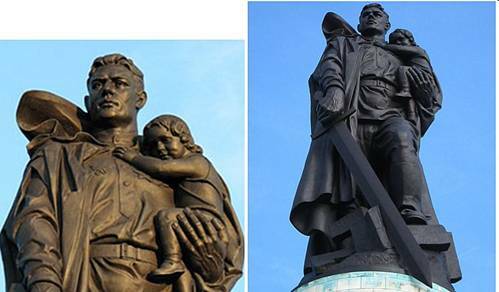 Extraterrestrial civilizations «reformats» invented by mankind lightweight scenario by a severe reality. They confirm that cataclysms on the Earth would never stop, and will amplify only. ETC inform you that the universe is a uniform system of consciousness and the beginning of global cataclysms means the end of the cycle of consciousness improvement and start of the process of complete destruction of the planet. Extraterrestrial civilizations assert that on the Earth there will never live any civilization – neither we, nor others. Never! 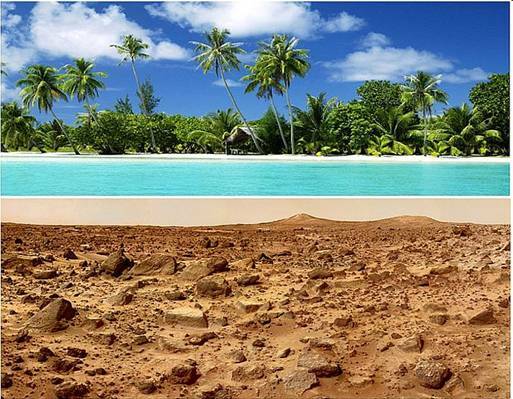 Planet Earth gradually during many millions years will be completely destroyed to the ground and becomes similar to Mars. Consequently, it is clear in advance that none of the methods already proposed by humanity, or may probably be offered, will not work. It will not work because mankind remains on Earth at the level of global cataclysms. We can not leave our planet for a long time. Extraterrestrial civilizations offer mankind absolutely different improbable way out. The way, how not to leave a planet and still become inaccessible to global cataclysms. Extraterrestrial civilizations convince mankind to make the Transition to other level of the material world within harmony of the Earth. Hence, we will live on the Earth, but only in other dimension. Cataclysms will begin, and will rage, but they will not affect us, because our body will be holographic. This is the way out! However, the most important thing is that we have not to do anything especial - just join consciousness of humanity in a single day and hour with a common goal. That's all. And we will make the Transition and we will save lives. We do not require any underground bunkers or catamarans - because they are unreliable. And most important, that we will all survive, every single one! Not the separate elite, but all people of Earth remain alive and even more – our Transition will cause the General Resurrection. Extraterrestrial civilizations assert that this is indeed a real solution. This way will be revealed possibilities of our consciousness unknown to mankind. Extraterrestrial civilizations in each pictogram open to mankind even the law which underlies arising action of the united consciousness. The action which will cause a laser beam for destruction of our body at the level of Crystal structures where we live now. Simultaneously we will arise again at the Highest level of the material world. OurTransitionwillcausetheGeneralresurrection. Extraterrestrial civilizations urge mankind not to delay with the decision of the Transition because the scenario of global cataclysms beginning has already long been known up to a year and a day, and, probably, even an hour. However, first of all, extraterrestrial civilizations consider possibilities of their own consciousness. Forces of the action of their consciousness should be enough to stem the rapid weakening of the magnetic field of our planet in order to prevent the overturn of the poles. This is a necessary condition, because when the poles overturn we would be destroyed instantly, absolutely everybody – without any choice. Generally extraterrestrial civilizations prompt a lot of information in their pictograms. 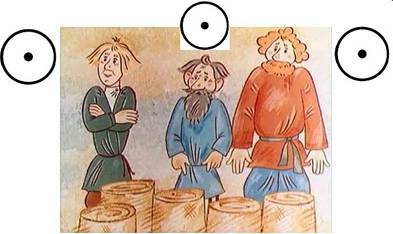 However, a question arises, in what pictograms ETC convey acquainted information and where they tell about the scenario of global cataclysms and give the Instructions for the Transition? As a symbol of global cataclysms extraterrestrial civilizations use an image of a serpent. This image extraterrestrial civilizations have presented in many complexes-pictograms. Through the images of serpents extraterrestrials pay our attention that just in these complexes are given the main information about the scenario of the beginning of global and preliminary cataclysms and also are given the Instructions about the Transition. Through analog and digital symbols ETC report to humanity the date of developed by them scenario. However, in pictograms of extraterrestrial civilizations serpents are presented differently. Among them there are separate huge sculptures of serpents’ heads set on the earth with the opened mouths and the protrudingdoubled tongues. There are also other serpents – also with open mouths and protruding doubled tongues, but presented on walls. These are the bas-reliefs hardly stand out above a surface of walls. What difference is concealed in representation of serpents? What is the difference between the serpents which heads are installed on the ground, and serpents on the walls. Thus, as these and other serpents are presented with protruding doubled tongues. 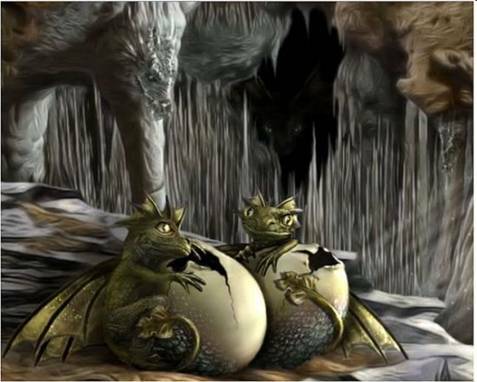 It turns out that there is a difference between these two types of dragons and very significant one. The head of a serpent with an open mouth and protruding doubled tongue, located on the ground indicates that it is the pre-cataclysm itself, which has already arisen, and creeps along the ground. Here it is, right in front of you! You didn't expect??? It is already here and is ready to swallow people alive as shown by various frescos and ornaments of the Maya. Head of a serpent with an open mouth and protrudingdoubled tongue, located on a wall. This is already other kind of serpents. These serpents inform that cataclysm is mortally dangerous. However, meanwhile it still dozes, i.e. the cataclysm on Earth hasn't arisen yet. This bas-relief presented, for example, in the complex of Xochicalco – just only a very formidable warning. So, in various complexes is presented only the warning to mankind and is given the Instruction for the Transition. Let’s consider the Instruction itself. The instruction- severe scolding. There are very bright Instructions of extraterrestrial civilizations what mankind is necessary to do in order not to be eaten by terrible serpents-cataclysms. They do not contain serpents in the form of statues or bas-reliefs, their image is drawn only. However, they transfer the Instruction of extraterrestrial civilizations very clearly. There are a lot of such similar pictograms. Here is one of them – it is presented in the center. This instruction contains an image of the Feathered Serpent, who grabbed hair of the man and very rigidlyand aloof holds him while the man has sat down from horror. Thus, the serpent shows that he will fulfill his function very strictly and ruthlessly. The head of one unfortunate victim already sticks out of serpent’ mouth – a living man with open eyes. So it is shown that cataclysms are mortally dangerous and swallow people alive. The compressed bunch of hair and red rim on a head of the man portrayed an individual cell. This way is shown individual consciousness, i.e. 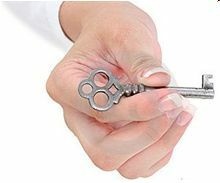 disunity of people – everyone for himself. That is, just deadly. In the hand of the man and the serpent are huge circles. These are the expanded brain areas of the united cells. Thus, in the hand of the man – as the separate Instruction about what is necessary to do – is represented a cell of the united consciousness. It shows that separate people of Earth should unite consciousness. And the Serpent in his hand holds already a result - the cell the united consciousness of humanity. This is underlined by many details of drawing - crescents, wide strips of a fringe hanging at the bottom, as well as two semicircles above three crescents with incised edges. One crescent at the top is presented in the peaked oval of dematerialization and the Transition. The information cell with a huge brain area represents the united consciousness of mankind. On the big circle of the Serpent are also presented three crescentsof the united consciousness. These ways are designated three previous levels of consciousness of organic and inorganic nature, which are part of every human cell. Hence, the Instruction recommends changing a mode of consciousness from individual to the united for the Transition in the next cycle of life. Dangling at the bottom 10 wide strips of fringe also represent unification of consciousness of separate people into united consciousness of civilization. The united consciousness of mankind is the basis of the Transition-flight which is shown by feathers of the Quetzal bird on the head of the Serpent. This is the only way to not be eaten by dragons - global cataclysms. This is the Instruction of extraterrestrial civilizations – «What to do! » It is presented in a very vivid and memorable way – in the form of severe scolding. In the complex of Chan Chan through the step ornament with fish on the walls, reminding waves and perpendicularly established walls, extraterrestrial civilizations specify that the first epicenter of two the first pre-cataclysms will arise in the oceanat the intersection of two currents. In symbolic of extraterrestrial civilizations walls with fishes represent currents. The ornamented wall with waves from Fishes in the complex of Chan Chan pays attention by its length. It means a long way of waves movement. Numerous long strips parallel to the surfaces of earth the located across the whole wall represent a symbol of body destruction for the Transition. To the main long wall with Fishes is attached perpendicular wall that divides it into two parts. In the place of junction of two walls Fishes in the ornament change direction for the opposite. Consequently, with respect to the perpendicular wall Fishes in the ornament are directed oppositely. In the right part concerning a perpendicular wall Fishes are directed from the south to the north, and in the left part – from the north to the south. This way is shown an area of occurrence of the preliminary cataclysms –where meet in the Pacific Ocean near Peru two currents. As the researchers note the Waves with the Fishes, going from the south to the north, represent the Humboldt Current, and the Waves with the Fishes, going from the north to the south represent El Niño. Thus, one epicenter pre-cataclysms will arise in the region of the Brazilian magnetic anomaly off the coast of Peru. In more details this information is presented in the complex of Chan Chan. In their pictograms, which contain images of serpents, extraterrestrials inform us about the period during which there will be three preliminary pre-cataclysms and will begin global cataclysms. They represent two pre-cataclysms, indicating thereby that humanity have to make the Transition during short period of time between them. However, the location of numerous nuclear power plants along the path of these pre-cataclysms fundamentally changes this information. As a result, the Transition should be made in the shortest time after the first pre-cataclysm, due to the high level of radiation. So, extraterrestrial civilizations give us the Instructions on how correctly to hold efforts for the Transition, considering the developed by them scenario of global cataclysms beginning. Let's get acquainted with the main instructions of extraterrestrial civilizations concerning various events of the Transition and their dates which they transfer in their pictograms. 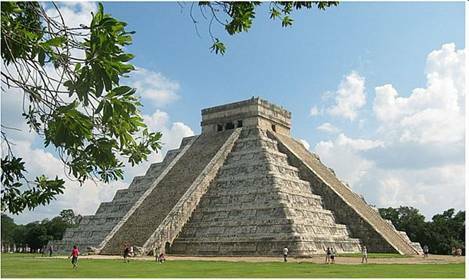 The pyramid of Kukulkan (El Castillo) is the main construction of the complex of Chichen Itza. This pyramid of 23 meters in height has a square in the basis. It consists of 9 high steps which are also known as terraces or platforms. The step Pyramid of Kukulkan in Chichen Itza complex has become world famous thanks to the shadow effect in the form of a serpent coming down the stairs. The effect is so amazing that thousands of people gather here each time, in the day of an autumn or spring equinox to see it with own eyes. Conclusion 1. Between the first and the second pre-cataclysms will be only a very short period of time. 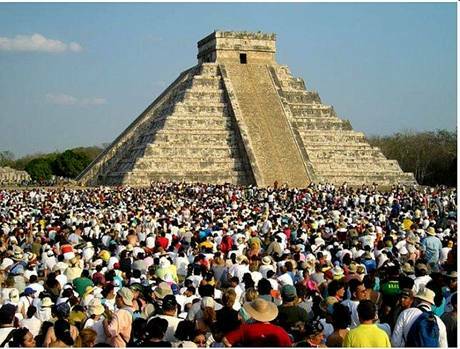 Twice a year — in days of spring and autumn equinoxes (on March, 20th and on September, 22nd) on the pyramid of Kukulkan arises world known shadow effect. The effect shows the huge serpent goes down from the top of the pyramid to its bottom, twisting his body. He descends the stairs step by step. The serpent descends from the top of Kukulkan pyramid twice a year in days of an equinox on March, 20th and September 22nd. On the other hand, just in this period of time arise ozone holes which reveal the degree of weakening of Earth's magnetic field because it is the period of the weakest magnetic field of Earth within a year. Thus, shadow effects which occur twice a year — in days of spring and autumn equinoxes (on March, 20th and on September, 22nd) represent two cataclysms which depict a huge serpent twice a year coming down from the top of the pyramid to its bottom. Here's how it happens. At about three o'clock in the afternoon sun's rays illuminate the western balustrade of the main ladder of the pyramid in such a way that light and shadow form the image of seven isosceles triangles.Seven isosceles triangles, from which is composed the descending serpent, mean that cataclysms will come down to the seventh planet of the solar system, i.e. on Earth. These triangles form, in turn, a body of 37 m snake «creeping» according to the sun’ movement to its own head, cut out of a stone at the ladder’ basis. The head of the serpent placed on the earth specifies that in front of us is the cataclysm itself. It is presented in the form of the serpent that has already come down on the earth. Conclusion 2. Cataclysms will go from the Gulf of Mexico to the north. 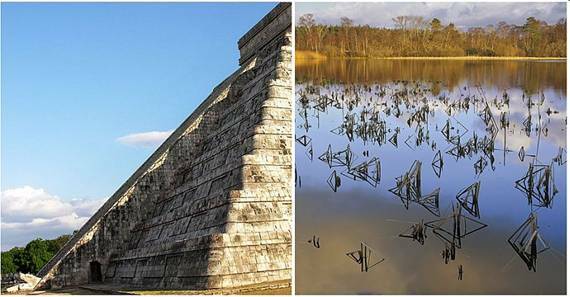 The pyramid of Kukulkan is located geographically very accurately – four of its sides look strictly to the south, north, west and the east. On all four sides of the pyramid are installed stairs. However only from the north side at the basis of the ladder are placed two heads of the serpent. Just to one of these two huge serpents heads, mounted on the ground on the north side of the pyramid, on the bottom of stairs, come down the body of a huge snake. This body appears twice a year and creates a shadow effect. 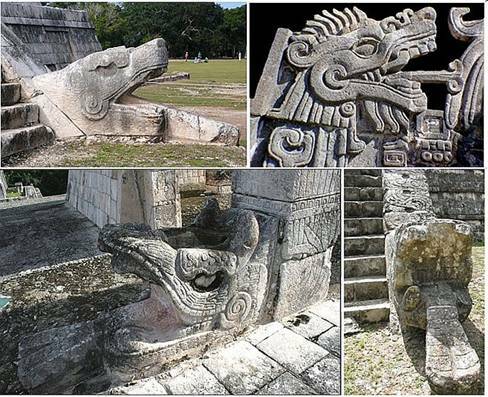 Here is how carved head of the Feathered Serpent and the Pyramid of Kukulkan looked quite recently. Two more heads of huge serpents on columns are located at the top level of the pyramid. Consequently, on the north side of the pyramid are installed two pairs of serpents heads – on the top and on the bottom at the pyramid’ foot. Thus, serpent’s heads installed only from the north side of the pyramid at the top and at the bottom inform that the serpent-cataclysm comes down to earth. The arising serpent creeps towards the north. It shows that the main blow of one of two pre-cataclysms will be directed from the place of its origin – in the Gulf of Mexico – to the north. Well-known American predictor Edgar Cayce also pointed out the direction of the natural catastrophe, informing that in several minutes the waters of the Mexican Gulf will merge with the waters of the Great Lakes. Conclusion 3. Cataclysms will happen within a year, i.e. 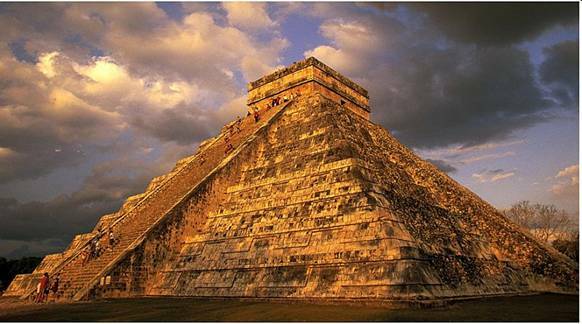 within 365 days.Around the whole perimeter the pyramid of Kukulkan is surrounded by ladders. Each of four ladders of the pyramid consists of 91 steps, their total number equals 364, and together with a platform lying in the basis of the temple, located on the pyramid’ top, the total number of steps makes 365 which corresponds to the number of days per year. So, 365 steps of the pyramid of Kukulkan inform that the scenario of global cataclysms which was made by extraterrestrial civilizations, is designedfor 365 days, i.e. for a year. However there is a question – what year is meant in this case? Year can be from the beginning of the first pre-cataclysm or refers tousual calendar year? The shadow effect of descending serpent appears twice a year - in spring and autumnal equinoxes (March and September). These days of equinoxes have an accessory to a certain year, for example, spring equinox of 2012 is March 20. Thus, 365 steps mean the calendar year - from January 1 to December 31. Seven isosceles triangles, from which is composed the descending serpent, mean that within a year cataclysms will come down on Earth, the seventh planet of solar system. Thus, within one year will happen the first, the second and the third preliminary cataclysms and also will begin global cataclysms. Conclusion 4. Our body at the level of global cataclysms should be destroyed.The pyramid of Kukulkan with the basis of a square consists of 9 high steps which are called also as terraces or platforms. The square basis points on the fourth level of humanconsciousness. Hence, this pyramid transmits information about human being. In the center of all four sides of the pyramid are locatedsmall staircases covering all platforms of the pyramid from top to bottom. Theseladders represent asymbolofdematerialization. They cross out a body area of information cell which is located between a brain area and external border. This is very clearly seen on the aerial view of the pyramid of Kukulcan. Small ladders – a symbol of dematerialization - indicate that our body at the level of global cataclysms should be destroyed. Only in this case we can be saved from global cataclysms. This danger of the beginning of the global cataclysms for human life show heads of serpents, located at the foot of the pyramid – at the very beginning of the small staircase, as well as on the top of the pyramid – at the end of the small staircase. Furthermore, the staircase from the two sides is limited by long, narrow surfaces, which are attached to the serpents’ head at the foot of the pyramid. These surfaces remind a body of the serpents which frame on both sides the ladder on all extentsince the serpents’ heads located at the foot of the pyramids. Hence, if we remain at the level of cataclysms we will be destroyed – tells this part of the pictogram. Conclusion 5. The epicenter of the first pre-cataclysm will arise in the ocean.In the pyramid of Kukulkan or Feathered Serpent extraterrestrials emphasize that the serpent, which represents cataclysms will be the water.It underlines the wavy ornament covering all surface of the pyramid from top to bottom. Coming one after another waves of the ornament are made in the form of a continuous linear zigzag. 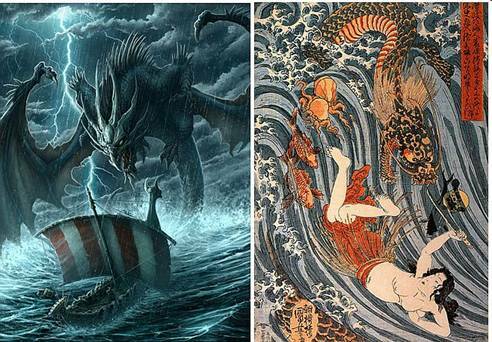 Extraterrestrial civilizations inform that the epicenter of not only the first but also the second pre-cataclysm will be in the ocean, because both serpents in the spring and autumndescendon the same line, adjoiningwith wavy ornament. 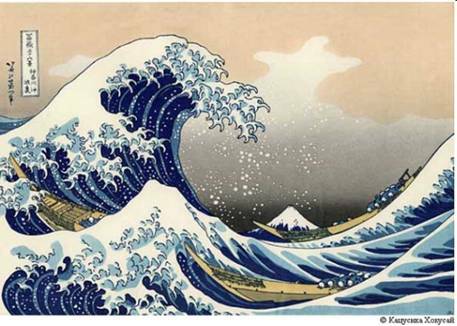 Moreover, the waves are like the background on which the serpent moves. However, we are interested only in features of passage of the first pre-cataclysm. If we do not be in time to make the Transition before the second pre-cataclysm and meet the second pre-cataclysm on Earth ... This means that the civilization of Earth would not be able to make the Transition and will be destroyed. The ornament covers the entire surface of the pyramid up to the very long standing waves-zigzags at the bottom. So, on the one hand, it shows a very long way of movement of the first pre-cataclysm along the territory of the ocean. On the other hand, it indicates that the first pre-cataclysm will cover huge areas of ocean. Conclusion 6. Change of individual consciousness on the united – the only way to continue life. The square basis of the pyramid Kukulkan as well as the square top, point on the fourth level of human consciousness. So, this pyramid transmits information about a human being. The square top represents a small brain area of an individual human cell. The square basis of Kukulkan pyramid of larger size, on the one hand, represents the border of an individual cell. On the other hand, the square basis of the pyramid represents the expanded brain area of the cell of the united consciousness. Nine high steps which are located between top and the basis of the pyramid and are well visible on the aerial view, show gradual multistage expansion of a brain area of the united cell at the transition from individual consciousness to the united. Hence, these nine steps show that the united consciousness was formed not immediately, but gradually. More and more number of people have joined and united consciousness. It happened until all civilization hasn't united consciousness. Just then such a big brain area of the cell was formed. By this example extraterrestrial civilizations show the way to the unification of consciousness. They tell that at once the united consciousness of civilization can not be formed. It is necessary gradually, step by step to spread the information about the beginning of global cataclysms and the urgent Transition for continuation of civilization’ life. The number nine means that unification of consciousness, i.e. transition from individual consciousness to the united, occurs in the Solar system containing nine planets. Conclusion 7. Grave Cross for the individual consciousness. 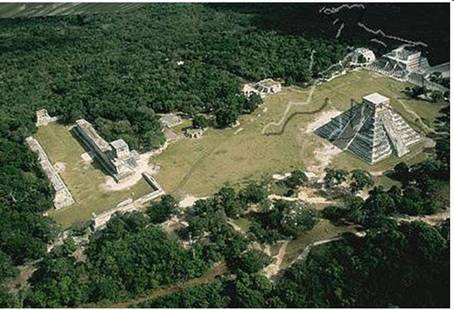 The aerial view clearly shows that small ladderscovering the platform of the pyramid in the center on all four sides from top to bottom form a wide cross. This cross completely crosses out the pyramid. Thus, the center of the cross is as if closed by the pyramid top. By this extraterrestrial civilizations wanted to warn us about the following. As it is known, the pyramid of Kukulkan represents a square. It means that the pyramid tells about the fourth level of consciousness of mankind. The cross which crosses out the pyramid, warns that the fourth level of consciousness – individual consciousness – will be destroyed. Consequently, if mankind doesn't unite consciousness for the Transition, and will continue to be in individual mode it will lead to the destruction of civilization in global cataclysms. Conclusion 8. 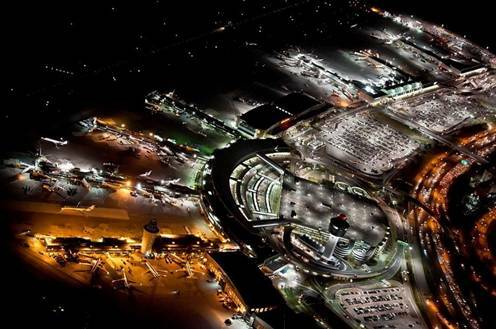 For salvation of life mankind should make the flight-Transition on the Highest level of the material world. Extraterrestrial civilizations for transmission of information about the Transition have located heads of serpents at two levels – at a foot of the pyramid and on its top. Since a serpent is a symbol of cataclysms serpents, first of all, undoubtedly, represent the danger of the beginning of global cataclysms for life of mankind. However, simultaneously with it, they designate also a level where live or may live people. From this point of view, serpents’ heads set on the ground at the foot of the pyramid represent the level where we live today. On the other hand, two huge columns, representing the great serpents, located on the upper level of the pyramid also indicate the level where we can live, but already another level. This way is shown the Highest level of the material world where we have to make the Transition. We will live there in the cycle of Correction the same way as today here in the cycle of Consciousness, but only after the Transition. This Transition is indicatedin pictograms of extraterrestrial civilizations by birds and their ability to fly. 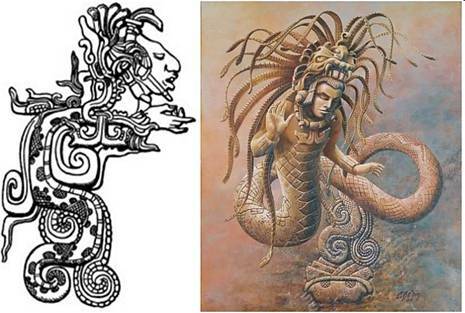 That is why the body of a serpent is covered by feathers as it is the pyramid of Kukulkan or the Feathered Serpent. So, the image of bird shows that mankind should make the Transition to the Highest level of the material world. The name of the pyramid of Kukulkan means, that it represents a bird Quetzal – unusually beautiful bright multi-colored bird with a long tail. 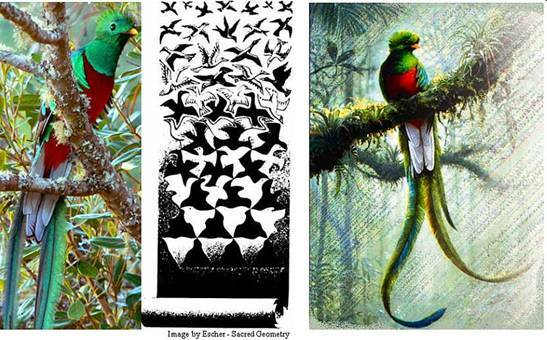 Quetzal is a magical holiday bird, which cheerful and carefree beauty inspires artists and ordinary people to create various paintings and murals, where it is represented. However, the most important thing that in ETC symbolic a bird Quetzal is a symbol of the Transition of mankind in the next cycle of life. 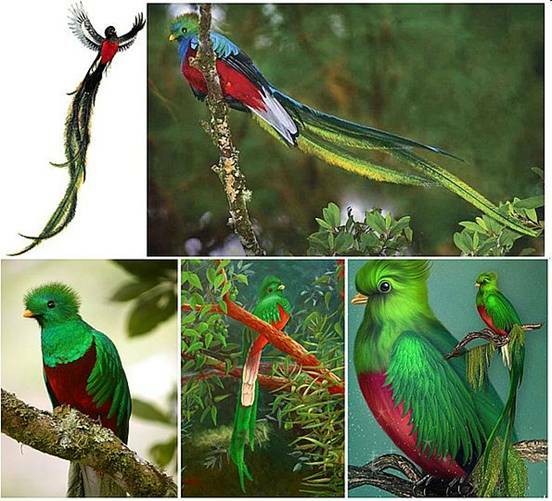 Quetzal is a bird of continuation of life and happiness of mankind’ tomorrow! On the Mayan glyph presented below is shown Kukulkan or the Feathered Serpent Quetzalcoatl with a giant Quetzal bird. 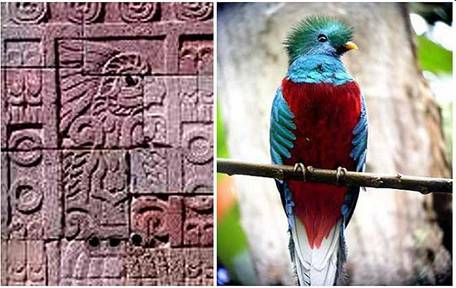 It was considered that within millennia a bird Quetzal represented the spirit of the Maya. Image of birds as the analog of mankind Transition in the new cycle of life, is used in the unusual acoustic effect presented on the pyramid of Kukulkan. 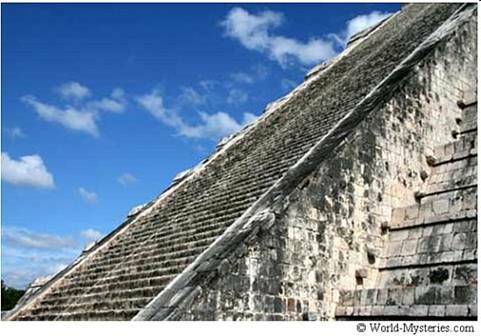 On the step pyramid Chichen Itza is created special acoustic effect which strengthens even the low sounds. Thus, handclaps at the basis in the pyramid evoke repeatedly strengthened echoes from the staircaseswhich remind chirping of birds. This acoustic effect as chirp of birds which results from handclaps has been investigated recently by group of scientists. Researches have shown that sound waves are reflected by a ricochet around multilevel step pyramid, creating these sounds. The key for creation of effect of chirped Quetzal bird echo are the sizes of steps of the pyramid. Each step has big height, however steps are not deep, and at lifting on a ladder by steps the foot doesn't plunge deeply into the pyramid. So this way arise echoes reminding a chirp of Quetzal bird. Thus, the echo reminding birds chirp can be explained, as periodic reflections of a sound from various elements of the step pyramid. The acoustic effect of birds chirp represents mankind flight-Transition on the Highest level of the material world for salvation of life. The sounds of echo evoked on the top reminding birds chirping point on the Transition of civilization as the only way of salvation from global cataclysms, comparing mankind with the birds who are making a flight. «Handclaps, evoking echoas birds chirp, sound like the call of the sacred bird, the magnificent Quetzal, which for thousands of years represented the 'spirit of the Maya'.» Extraterrestrial civilizations have intentionally coded a sound of this sacred Quetzal bird in architecture of the Kukulkan pyramid. The created acoustic effect has one more side and transmits the additional information. Two, hands connected for a handclap, on the one hand, represent unification of consciousness of two people. On the other hand, considering that on each hand there are 5 fingers, we receive that fingers on two hands represent five pairs of people who unite consciousness. Thus, «number 5» itself means the united consciousness. Besides, are known also other effects of Kukulkan pyramid or El Castillo. Thus, one of it is the following. If someone stays at pyramid’ top – at height of 23 meters – and speaks in a usual voice his conversation can be heard below on the earth on distance of 150 meters from the pyramid basis. So it is allegorically shown that the information transferred by extraterrestrial civilizations from the above, will be heard below on the earth everywhere – on many and many distances. Messages of extraterrestrial civilizations will spread on all earth. 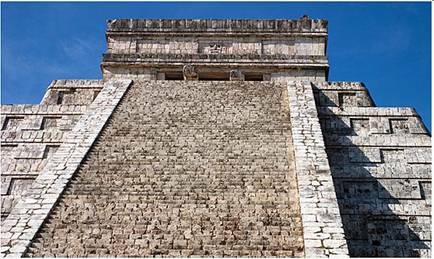 Guides tell about one more acoustic effect arising on Kukulkan pyramid. If the person stays at the basis of the pyramid El Castillo and shouts upwards, the echo comes back to him from the pyramid top, as a piercing shriek or a cry. This way is shown the future condition of mankind that has felt the power of the first pre-cataclysm. The cry from above transmits the warning of extraterrestrial civilizations of the beginning of global cataclysms. Mankind doesn't imagine at all the fury of the nature, which never before had shown to mankind its furious force of amplifying cataclysms. Conclusion 9. The Transition will occur into other environment of the material world. The direction, in which the serpent creeps, connects the pyramid of Kukulkan with the well Cenote Sagrado, located not far. They are connected by wide road. Cenote Sagrado is a unique natural well which was considered as a sacred place. Cenote Sagrado has almost round form, reaches 60 meters in diameter and 20 meters in depth. On Yucatan Peninsula there are many sinkholes-cenotes. 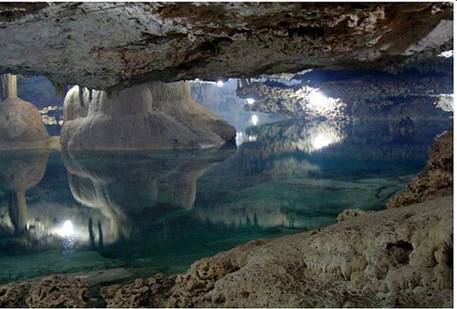 In the conception of the Maya Cenote - is the entrance to the underworld. The huge reservoir represents additional information of extraterrestrial civilizations about mankind’ future. The shape of the reservoir in the form of a huge circle depicts a brain area of the united consciousness cell of civilization. 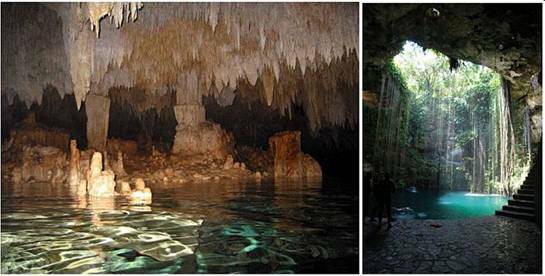 Cenote filled with water also informs that the Transition will occur in absolutely other world with other living conditions. Thus, Cenote tells that unification of civilization’ consciousness will allow making the Transition to the Highest level of the material world with other conditions, where we will continue life. The main conclusions. The pyramid of Kukulkan, Chichen Itza. Shadow effects of the serpent descending from the pyramid represent two pre-cataclysms that occur on the planet, one after another. 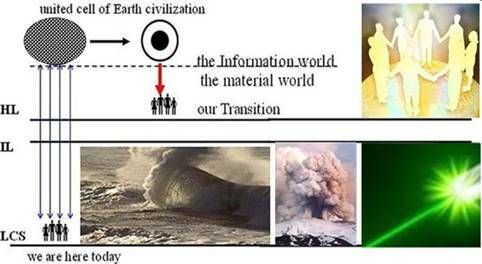 It is shown that between the first and second pre-cataclysm is very short period of time during which civilization have to be in time in order to make the Transition to the next cycle of life. The scenario of the beginning of global cataclysms is calculated for a year. Hence, within one calendar year, i.e. within 365 days there will be the first, the second and the third preliminary cataclysms and also global cataclysms will begin. Our body at the level of global cataclysms should be destroyed. It can be done only by the laser which will cause the united consciousness of civilization. Change of individual consciousness on the united and the Transition – the only way for continuation of life. For salvation of life mankind through the united consciousness of civilization should make flight-Transition on the Highest level of the material world. The Transition will occur in other environment of the material world. 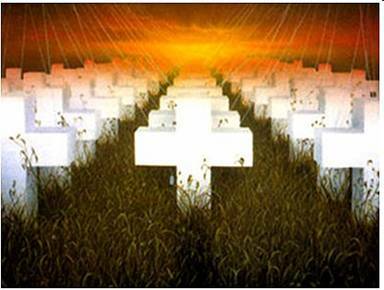 The grave cross for individual consciousness. So, the civilization that has not united consciousness and hasn't made the Transition would be destroyed. The epicenter of the first pre-cataclysm will arise in the ocean. The way of movement of the first pre-cataclysm along the ocean territory will be long. So, the first pre-cataclysm will cover huge territories of the ocean. The main blow of the first pre-cataclysm will be directed from epicenter to the north. Conclusion 1. Three preliminary cataclysms and the beginning of global cataclysms will occur within one year. 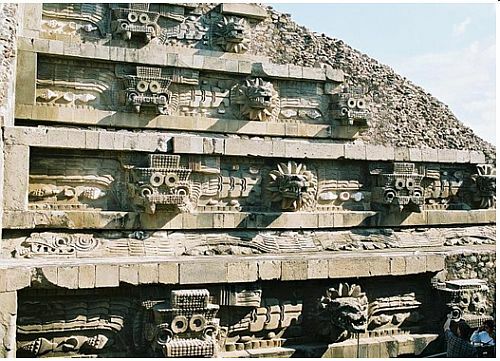 The pyramid of Quetzalcoatl in the Mexican complex of the Moon and the Sun decorate 365 images of heads of two serpents– the Feathered and the Fiery Tlaloc according to number of days in a year. As we already noted, in symbolic of extraterrestrial civilizations – the serpent is a symbol of cataclysms. Thus, 365 heads of serpents specify that all scenario of the beginning of global cataclysms is calculated for a year. However, on the other hand, extraterrestrial civilizations have presented in this pictogram – the pyramid of the Feathered Serpent – two types of serpents – the Feathered and the Fiery-Tlaloc. These ways are shown two preliminary cataclysms, each of which possesses certain features. 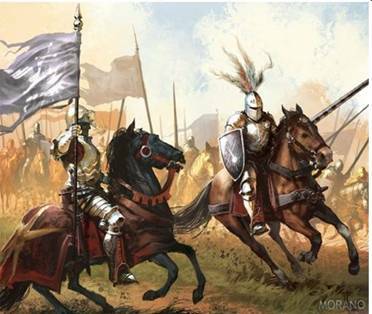 The main thing, that the power of the second pre-cataclysm is much more than the power of the first. Conclusion 2. Our bodies at the level of global cataclysms should be destroyed. 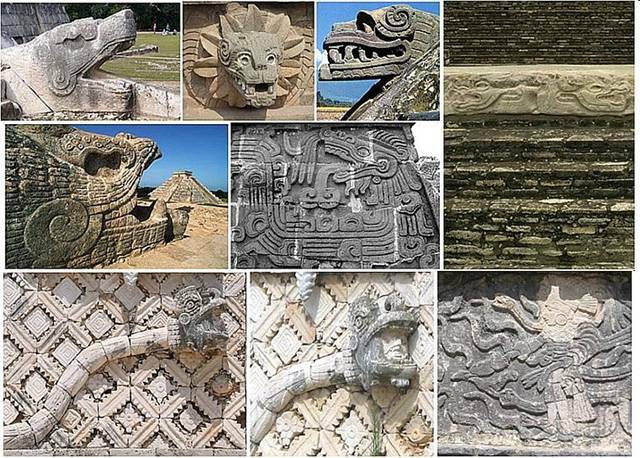 On the pyramid of Quetzalcoatl– the Feathered Serpent of the Mexican complex of the Moon and the Sun pyramids serpents are presented everywhere. In a large quantity their heads are presented at all steps of the pyramid of the Feathered Serpent and also from two sides they frame the small ladder covering the pyramid from top to bottom. This ladder specifies that our bodies at the level of global cataclysms should be destroyed. Only in this case we can escape from global cataclysms. Curving bodies of serpents are located between heads at each level. The serpent with a long curving body lies at each step. This way is shown, that cataclysms are put in the basis of our planet, and indissolubly are connected with it. Conclusion 3. The epicenters of cataclysms will lie in the ocean. In the pyramid of the Feath/spanv:shape id=o:p there are many Thus, Cenote tells that unification of civilization’ consciousness will allow making the Transition to the Highest level of the material world with other conditions, where we will continue life. ered Serpent extraterrestrial civilizations underline that this serpent connects with water. Shells. 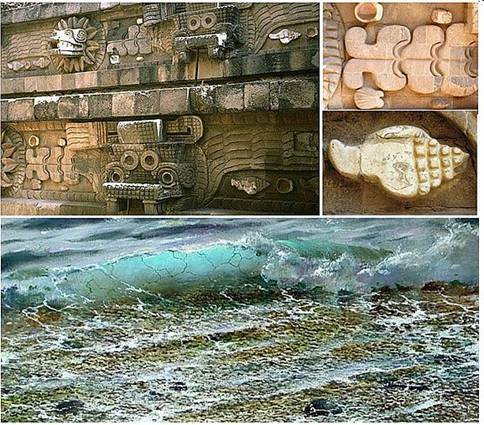 In order to show that epicenters of cataclysms will lie in the ocean, extraterrestrial civilizations place various shells in crinkles of a body of the long serpent lying at each big step of the pyramid. Wavy body of the serpent. Except the image of shells, extraterrestrial civilizations create an ornament, in a wave mode which is presented at each step of the pyramid. This ornament is created by bodies of serpents – symbols of global cataclysms. Only a wavy long body of the serpent is located directly over each step. It isn’t interrupted anywhere from a predatory large-toothed head till a tail of the serpent. However the mouth of the serpent is densely closed. It means that the presented information is only very stern serious warning. In soft bends of a body are presented numerous shells. Under each step also is shown the ornament in the form of a body of the feathered serpent. However these curves of the body are higher and in them are also presented big shells from top and bottom. This shows that the serpent-cataclysm will not only arise in the ocean, but will move very long way through the ocean territory. Conclusion 4. Mankind should make the flight-Transition from the level of global cataclysms on the Highest level of the material world through the united consciousness of all civilization. The body of the Feathered Serpent is covered by feathers, thereby, giving the analogy with birds’ possibility to fly. Feathers of the serpent specify the only exit from the critical situation – the civilization of Earth should make the Transition to the Highest level of the material world for continuation of life. 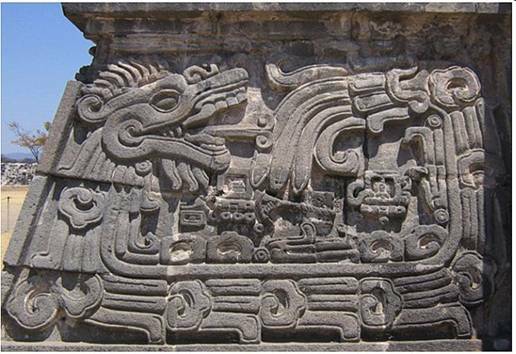 The Feathered Serpent by symbols of consciousness informs that this Transition can be made through the united consciousness of all civilization. The main conclusions. The pyramid of Quetzalcoatl. Global cataclysms are included in the system of development of our planet. Our body at the level of global cataclysms should be destroyed – only in this case we can escape from global cataclysms. It can be made by the laser which will cause the united consciousness of civilization. Mankind should make the flight-Transition from the level of global cataclysms on the Highest level of the material world through the united consciousness of all civilization. The epicenter of the first pre-cataclysm will arise in the ocean. 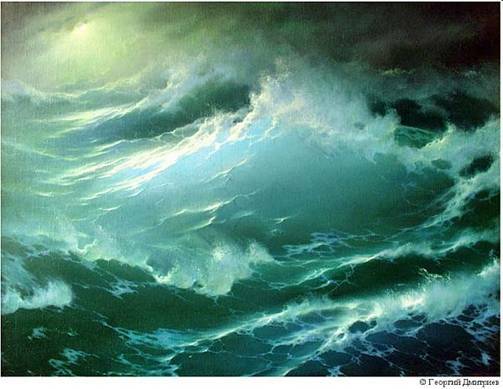 The way of movement of the first pre-cataclysm in the ocean territory will be long and will cover huge territories of the ocean. Conclusion 1. Global cataclysms will certainly occur, since they are embedded in the system of the planet development. In the complex Xochicalco are presented serpents with open mouths. However, they are located on the pyramid’ walls as bas-reliefs. So, it is only ominous warnings. Nevertheless, the serpent specifies that in this complex are also given the Instructions for the Transition. So, what Instructions are presented in the complex of Xochicalco? Conclusion 2. It is necessary to make the Transition to the safe level of the material world in order to escape from cataclysms. On walls of the complex of Xochicalco is presented the serpent which body is covered by feathers of bird. Consequently, the Feathered Serpent indicates that we can escape from cataclysms only as a bird, flying up to another safe level of the material world. Conclusion 3. The effect of a light beam in the complex of Xochicalco specifies the power of the laser beam, necessary for the Transition. In the underground construction named an observatory, arises very interesting effect. In the roof is made a hole, through which a beam of light enters into the dark construction. The hexagonal shape of the hole points on carbon basis of our life. Consequently, this information is for humanity. On ordinary days, the beam of light is very weak and almost nothing is visible. However, twice a year – on May, 14-15th and on July, 28-29th when the sun reaches zenith, i.e. 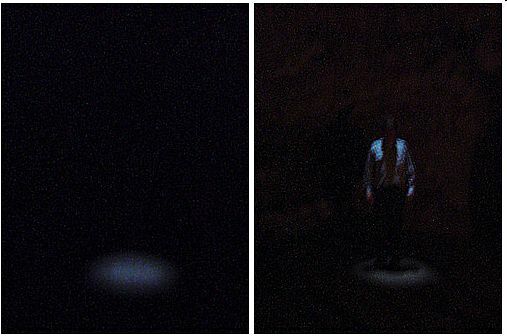 is directly over a head, very strong beam of light falls from the roof on the floor. Conclusion 4. The body at level of global cataclysms should be destroyed by the laser beam caused by the united consciousness. At zenith of sun the beam of light is so strong that if you put a hand under it you can see its skeleton, like X-ray. The arising beam of light represents a beam of laser which should cause the united consciousness of mankind. On it indicates a skeleton. A skeleton informs that only laser beam of such great force is capable to destroy a body on the level of global cataclysms. Just such laser beam should cause the united consciousness of mankind for the Transition. Conclusion 5. From the first attempt it will be impossible to make the Transition.It will be difficult to cause the laser for the Transition and will be required a lot of trainings for consciousness unification across countries and continents.Thus, the sun daily shines into a cave in the 105 days running from 30 April to 15 August. However, only 2 times a year the sun is at its zenith - 14/15 May and 28/29 July. And only at astronomical noon a beam of light falls directly on the floor of the cave through the hole,revealing the solar phenomenon. The arising effect specifies that we are given short, but sufficient time interval between the first and the second pre-cataclysms for trainings of unification of consciousness across countries and continents. The goal of trainings is to form a homogeneous-resonant medium of civilization’ consciousness and to cause the laser beam of extreme force – similar to a beam of sun light in zenith. Only such powerful beam of the laser is capable to destroy our bodies from the level of global cataclysms. It will allow to make the Transition and to save the civilization’ life. Considering the ultra-high level of radiation after simultaneous destruction of entire massive of nuclear power plants will need to make the Transition as soon as possible after the first pre-cataclysm. Conclusion 6. Love is the basis for the Transition. 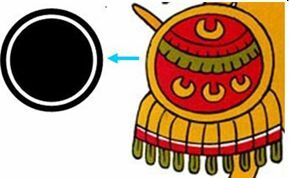 So, extraterrestrial civilizations use this Xochicalco solar phenomenon to represent the only possiblepower of the laser beam for the Transition. Today our unprepared consciousness isn't capable to cause any laser beam. It is obvious that for creation of the laser beam of the specified power, it is necessary to activate very strongly consciousness of people, strengthening the depth of consciousness unification. A softening of borders of cells for deeper interaction and information exchange is possible only on the basis of love, deep mutual understanding and compassion to each other. It will be revealed in the force of the united consciousness action in the form of power of the laser beam equivalent to the beam of light at the sun in zenith. Only such force of the laser will help us to make the Transition. So, the Instruction of extraterrestrial civilizations in the complex of Xochicalco shows humanity the only possible power of the laser beam capable to destroy all bodies of people of Earth for the Transition in the next cycle of life together with three previous levels of consciousness of organic and inorganic nature of the planet. Conclusion 7. The epicenter of the first pre-cataclysm will arise in the ocean. Besides, is presented also the additional information. Attracts attention very strongly curved body of the Feathered Serpent. The deep body bends of the serpent resemble waves. This way is shown the warning that the epicenter of pre-cataclysms will be in the ocean. Besides, a very long body of the serpent with high bendsindicatesthat the cataclysm will have a long way in the ocean. The main conclusions. The complex of Xochicalco. Global catastrophes are inherent in the system of development of the planet. It is necessary to make the Transition to the safe level of the material world in order to escape from cataclysms. The effect of the beam of sunlight specifies capacity of the beam of the laser necessary for the Transition which should be caused by consciousness of mankind. The body at the level of global cataclysms should be destroyed by the laser beam caused by united consciousness of humanity. From the first attempt it will be impossible to make the Transition. It will be difficult to cause the laser for the Transition and are required many trainings on consciousness association along countries and continents. Love is the basis of the Transition. The epicenter of the first pre-cataclysm will arise in the ocean. Complexes with the sun beam effect and the symbol of the «cross». World famous are some very mysterious complexes with effects of sun beams and a symbol of the «cross» which is formed by interior chambers of all pictograms. All complexes have very long passages, along them moves sun beam at sunrise or at sunset on the days of equinoxes or solstice. This beam gets till the end of construction and shinfont-size:2.0ptes a stone on the back wall, on which is presented the transferred information. Complexes are created by means of information technology and between huge stones would not pass even a sheet of paper. About what extraterrestrial civilizations tell in these unusual pictograms? The symbol «cross» in symbolic of extraterrestrial civilizations means inevitable destruction of mankind in global cataclysms that was not in time to make the Transition. It means that the individual mode of consciousness nottransferred to theunited, and mankind had remainedat the level ofglobal cataclysms. In this complex the sun light effect is observed on December, 21st, i.e. in last day of the Mayan calendar, but at sunrise. It abstractly shows that mankind still has a whole day for making a decision about the Transition through the united consciousness in order to escape from destruction in global cataclysms. As a hint – the mound represents a cell of the united consciousness. Nevertheless, date on December, 21st and a symbol «cross» warn that we have to hurry up because the end is close. Newgrangecomplex is the oldestNeolithicagestructure, older than Stonehengeand the pyramidsof Giza.It was createdaround 3600BC, i.e., over 5,000years ago.Newgrangeis a hugemound, consisting of approximately200,000tons ofstones,covered above with ground.It represents a brain area of the unitedcellof Earthcivilization. Inside themound is a crosswise chamber. It is formed by three small rooms and leading to them a long narrow passage. The complex is world famous for the sun light effect which arises once a year on December, 21st at the day of winter solstice. Beams of rising sun through the top of the window and a long passage get into the central chamber –so-called funeral chamber. Beams reach a stone in the most distant end of this chamber and illuminate it in darkness. 5000 years a year to a year the beam of sun light scanned space of a long corridor and a crosswise chamber. And only today there was an inspiration which has snatched out from darkness the decree of extraterrestrial civilizations as a shout – «Unite for the Transition! » – It is the only hope for salvation from global cataclysms. 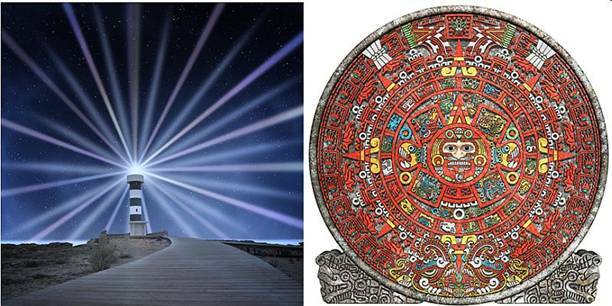 Date on December, 21st – the last day of the Mayan calendar, meaning the beginning of global cataclysms and also the sunset and a «cross» – abstractly point on destruction of civilization. Mankind already was late with the decision of the Transition, and can't escape any more from global cataclysms. The beam of sunset specifies a cause of civilization death – an individual mode of consciousness. 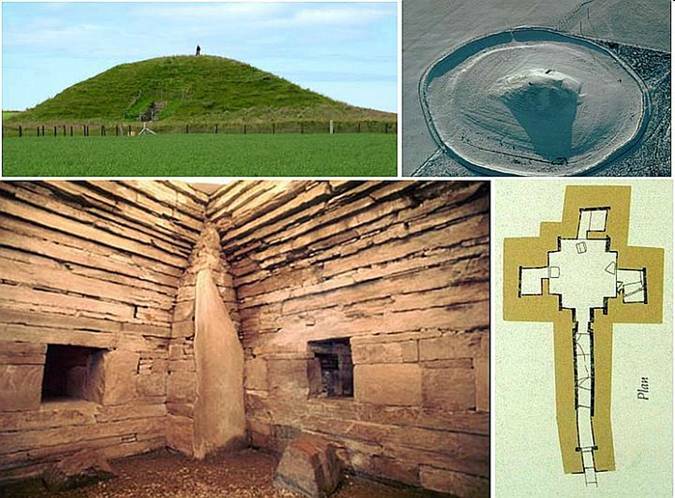 The complex of Maeshowe, considered as one of the largest tombs of the Neolith epoch on the Orkney Islands in Scotland, world famous for the effect of sun beams at sunset during winter solstice. Covered by grass the mound of 35 meters in diameter and 7 meters in height is surrounded by a ditch and represents a cell of individual consciousness of human being with a small brain area. The mound inside contains corridors and chambers forming a cross. The complex is located such a way that the beam of sunset illuminates a stone at the back wall of the central chamber which point on the cause of civilization death – an individual mode of consciousness. The sunset abstractly shows that mankind already was late with the decision of the Transition, and can't any more escape from global cataclysms. It is considered that on the wall is cut out the image of the Dragon, but already without wings. This information clearly transfer also numerous separate high stones near the mound, representing the separate people which high ego hasn't allowed to unite in time consciousness for continuation of life. 2012 is considered to be a year of the Dragon. Besides, it is known that December, 21st, 2012 is the end of the Mayan calendar. Therefore, considering results of decoding of complexes with serpents and also complexes with effect of light beam and the symbol «cross», it is possible to assume that on December, 21st, 2012 will transfer to the stage of destruction. It is important to notice that unification of civilization’ consciousness as preparation for causing a laser beam should begin as soon as possible. We should learn to love each other and open our hearts for love. Love is the basis of the Transition. Only love will soften the boundaries of our cells and provide a more profound unification of consciousness. Only love enables us to create a homogeneous media of the united consciousness of humanity, in which the laser beam occurs. So, the scenario of global cataclysms beginning has been made at dawn of mankind development. Already thousand years ago extraterrestrial civilizations knew that according to the planet characteristics global cataclysms will begin at the given time and life of the organic nature and mankind with carbon basis will be interrupted. Just in that time the scenario of the two pre-cataclysms was composed, and also the mankind’ Transition in the next cycle of life. These dates have been chosen not by chance. In the basis of the scenario was put the condition of constantly weakened magnetic field of Earth and also possibility of consciousness of extraterrestrial civilizations to support this weakening, without allowing overturning of poles occur. Otherwise the end is only one – instant death without any scenario. Then, taking into account possibilities of mankind consciousness extraterrestrial civilizations have calculated the dates of the pre-cataclysms. Shortly before global cataclysms beginning mankind by means of the Mayan calendar has been informed about the end of possible residing on the planet. Besides, scientists continuously fixed constant reduction of magnetic field of planet which is revealed also in increase in the sizes of ozone holes. Thus, mankind consciousness has been concentrated on the date of December, 21st, 2012. However about this date it was known nothing. Detailed explanation gave the pictograms of extraterrestrial civilizations, read by means of two codes given by them – analog and digital. For continuation of life humanity has to make the Transition before the second pre-cataclysm. After the second pre-cataclysm the destiny of Earth civilization is already predetermined. Extraterrestrial civilizations will certainly warn about occurrence of the first pre-cataclysm, but just at the eve of the event and we will inform about it on our website. Today extraterrestrial civilizations constrain by their consciousness decreasing of Earth magnetic field the in the zone of the Brazilian anomaly. In certain pre-selected time of the first pre-cataclysm beginning, they only slightly weaken the constraining action of their consciousness in this zone, and tectonic plates will disperse … Therefore till the last day nothing will indicate on approaching catastrophe. Extraterrestrial civilizations, by transferring the key for the decoding of their pictograms, thereby, gave us the chance to continue life. The information of extraterrestrial civilizations will allow in certain time through the united consciousness of mankind to cause the laser beam and to make the Transition in the next cycle of life, as afiery bird Phoenix .